Here at shopfitter.ie we complete full shop fitouts for clients in multiple sectors. From electronics to groceries, salons to restaurants. We’ve finished dozens of fitouts over last few years and are experienced in every aspect of the job. From the design to the manufacture, to the finish. At shopfitter.ie we believe the most important part of a shop fitout is the shop design. 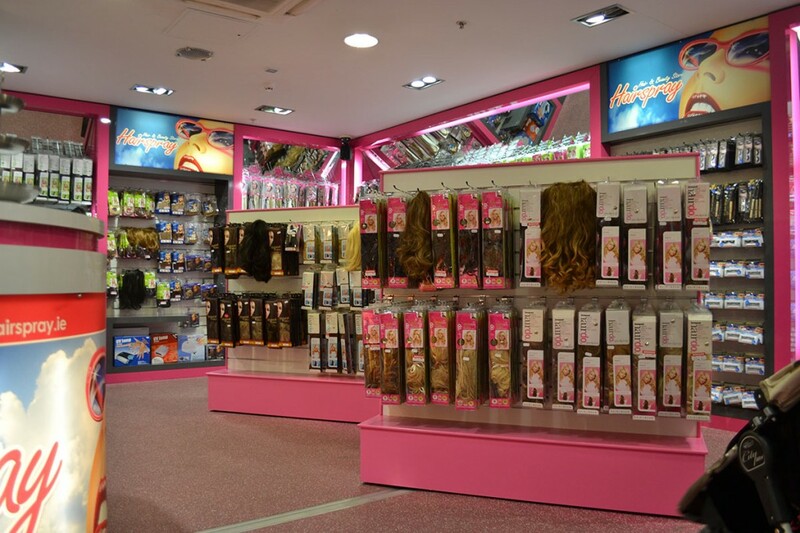 Ensuring that a store has its best products on show in uncluttered well-lit spaces is key to ensuring people are comfortable in your store making them much more likely to spend money. All of the furniture we use for our shop fitouts comes from our partners at custommade.ie, who operate a full scale custom furniture company, they build custom designs all day every day and they only supply the best. So we’re absolutely confident that if we need a specific table in a specific shape, build and colour we’ll get it every single time, which really frees us and our clients up to design how we want. We never have to worry about not being able to construct an awkward table or paying through the nose for small changes to standard designs. If you want to have a mirror hanging off the ceiling held by dolphins, for whatever reason, our partner can do that, so we can be very free in the design stage as we know we can build almost anything we need at a reasonable cost. As we’ve already mentioned our partner’s involvement in the manufacture of any furniture you might need, we’ll tell you a little bit about how we install our shop fitouts. These are done simply and cleverly, with all of the furniture, dividing walls and layouts set out in the design stage and then anything that needs to be built in a factory will be made by our partner. Whether you’re starting from scratch or remodelling, our team focuses on getting the job done as quickly as possible. We’re able to work around shopping centre hours or put in the overtime/weekend work to ensure the job gets finished. If you’re focusing on getting your shop fitted out or need a complete shop fitout remodelled, get in touch with us today by phone or e-mail and we’ll sit down and get you a quote.